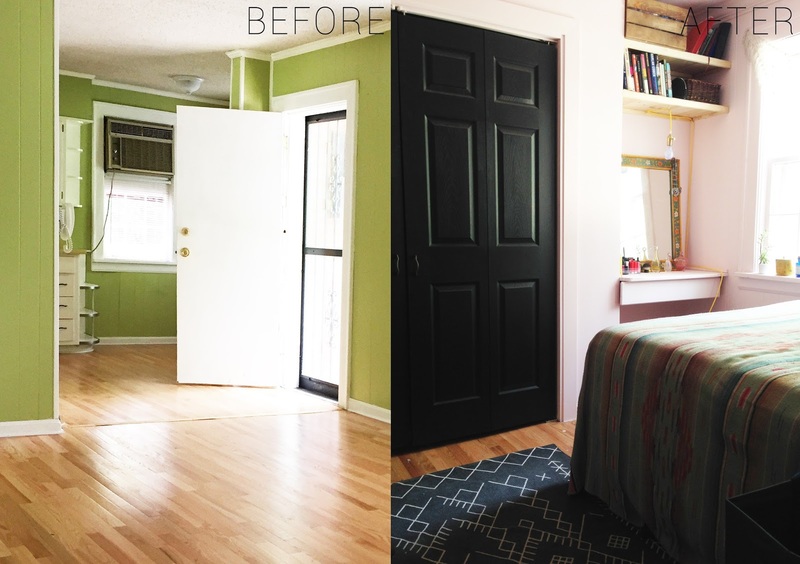 Today we are taking a before and after tour of my (Savannah's) bedroom! When the house was purchased, this bedroom didn't actually exist. It was an open space off of the kitchen and it was weird. 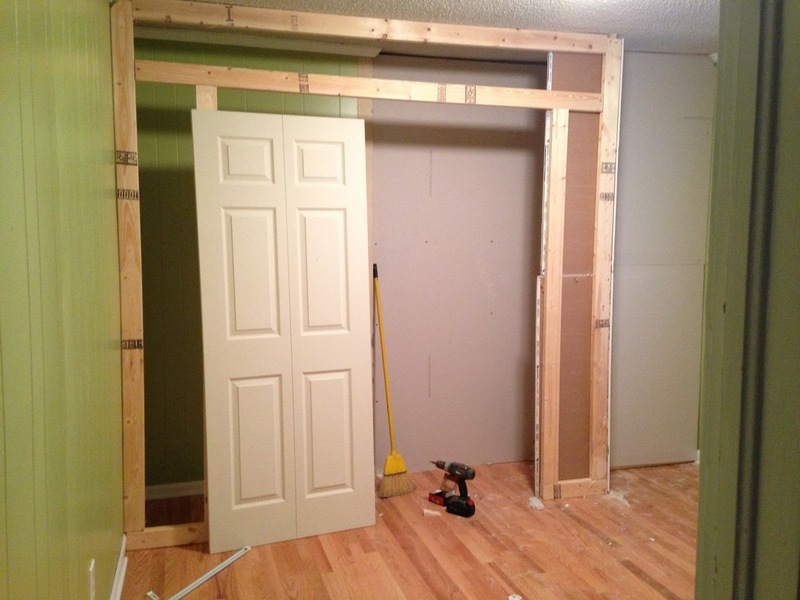 Richard built a wall to separate the kitchen from this room and on this side he also built a closet and vanity space. 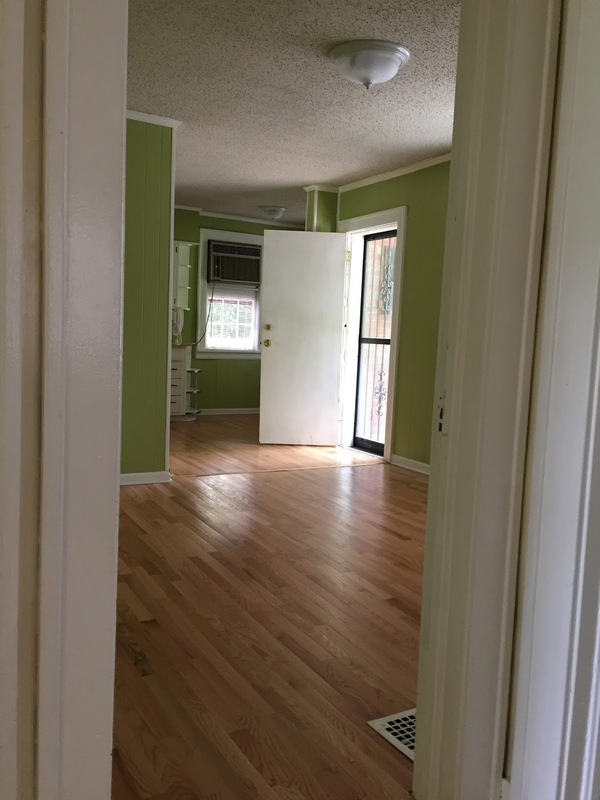 You can see photos of the kitchen side here! 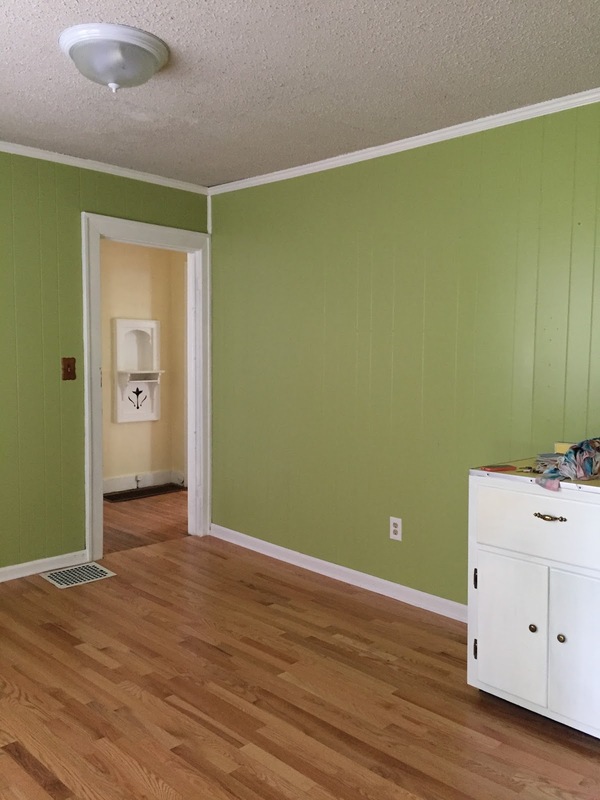 The walls in my room were the same color of the kitchen, green apple yuck. 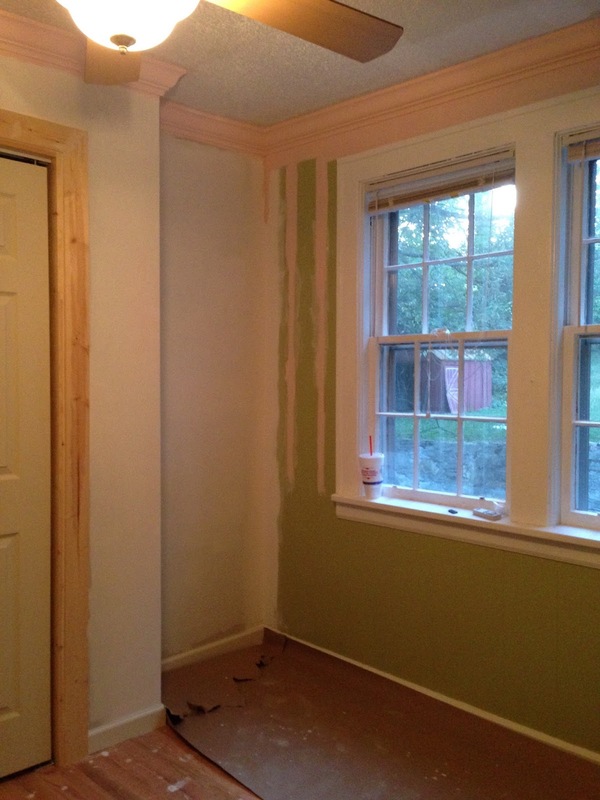 And also, the walls are this thin paneling put up over plaster walls. I know this because everytime I hang something, I can hear the walls behind crumbling. 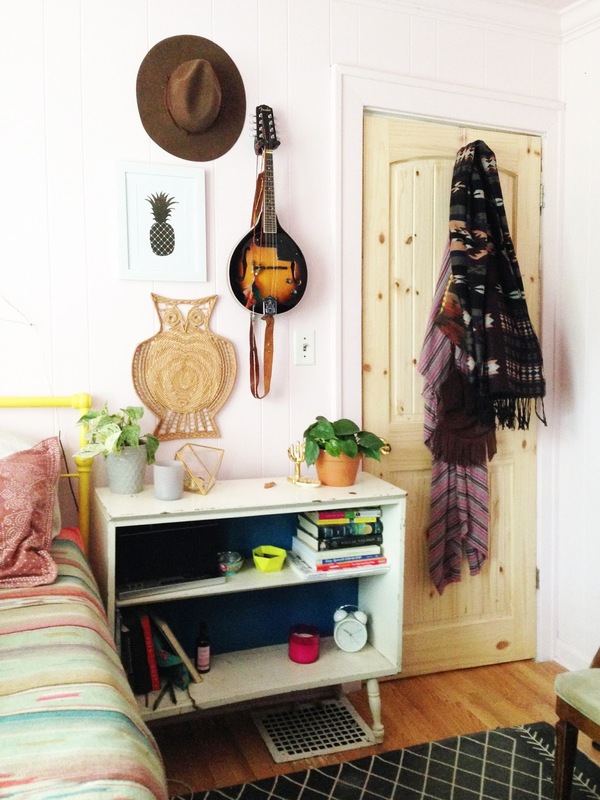 I had planned on painting my room pink for a while before we moved in and thought that it would look great with the texture of the paneling. 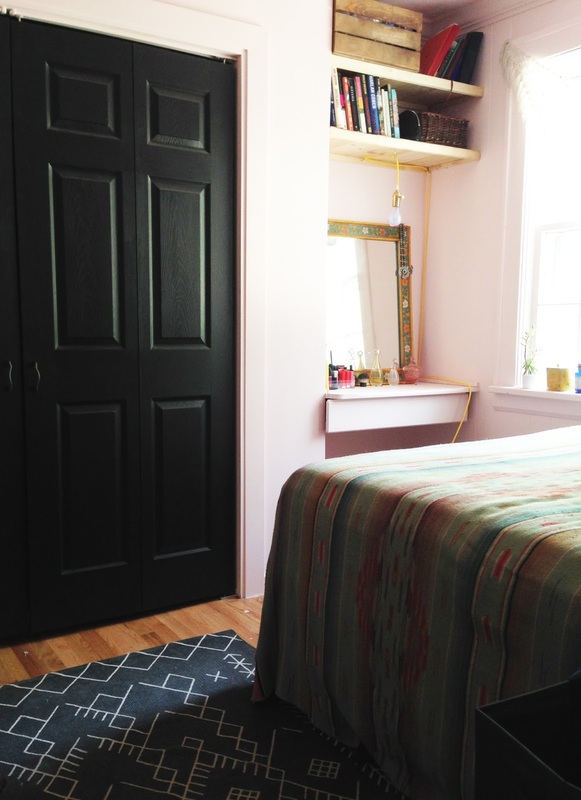 I chose pink because we had this great blanket from Be.Vintage and I thought the two would go well together. 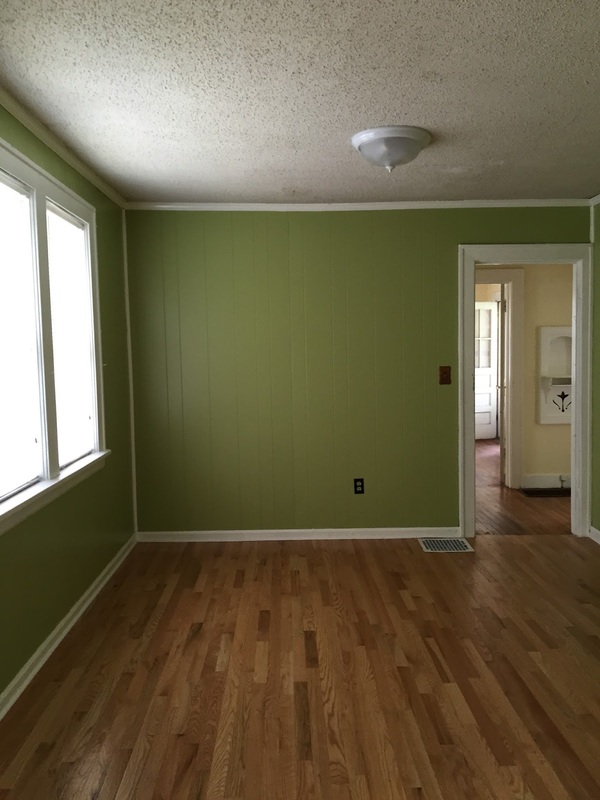 We ended up painting 5 coats on the walls. It took about 3 coats to really get rid of the green color, but then I realized the pink I had was TOO pink and decided to re-paint another color. 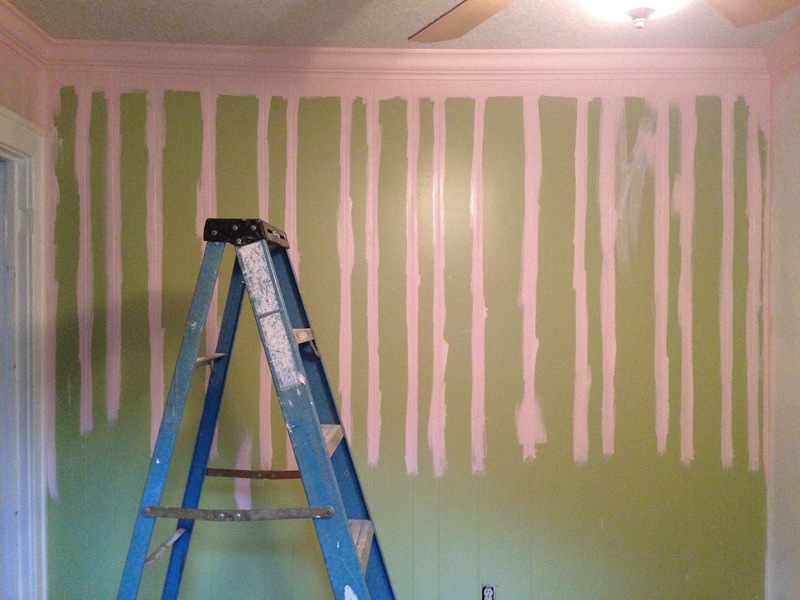 I ended up with Ballerina Pink by Benjamin Moore. I love this shot! My headboard is actually the same one I used in my old room in the old house, and it's actually the footboard of one of Casey's old bed frames. 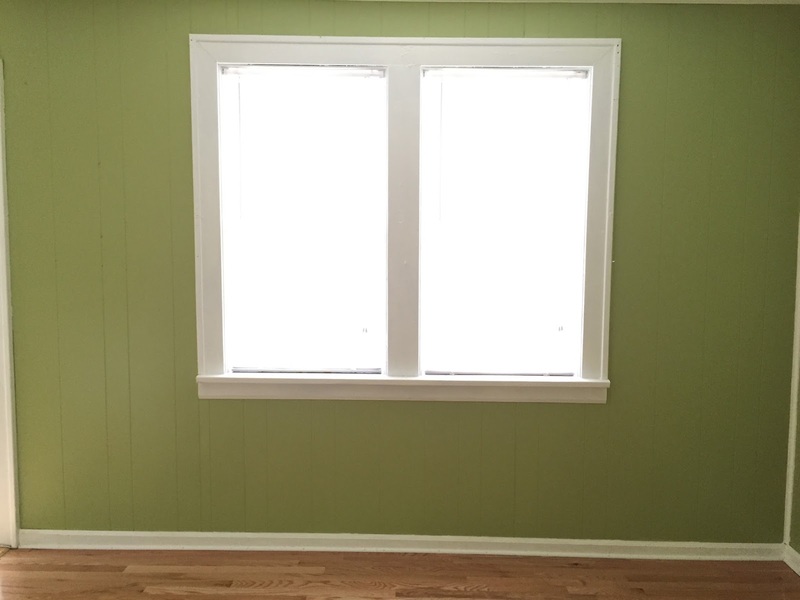 I had painted it yellow for my other room, but it works great here too! 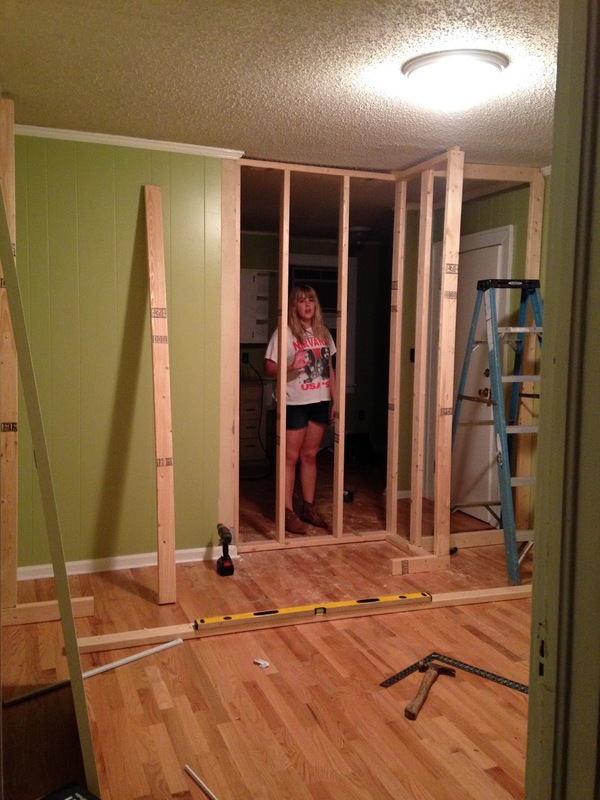 This room also didn't have a door and when we moved in, I totally lived without a door for a little bit. But I have a door now, everything is okay! 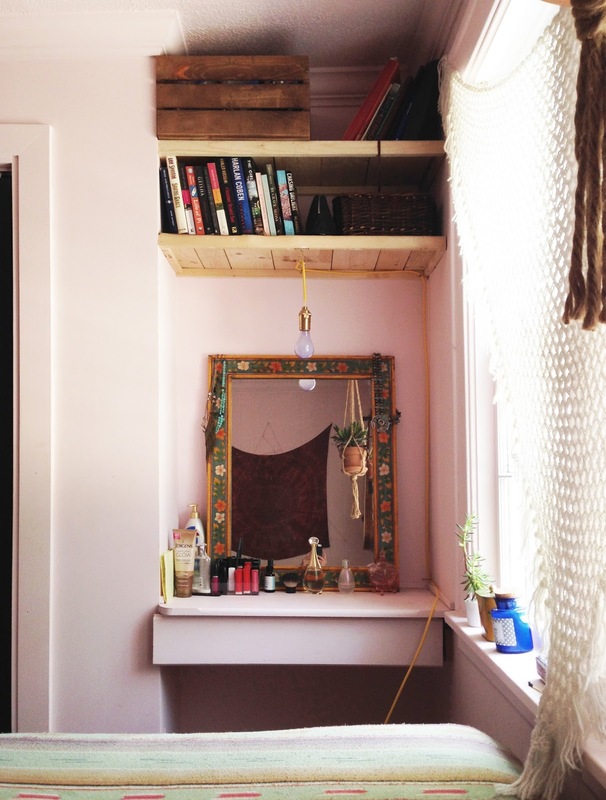 Since my room is pretty small, I use wall space/ dresser space/ any extra space as storage. 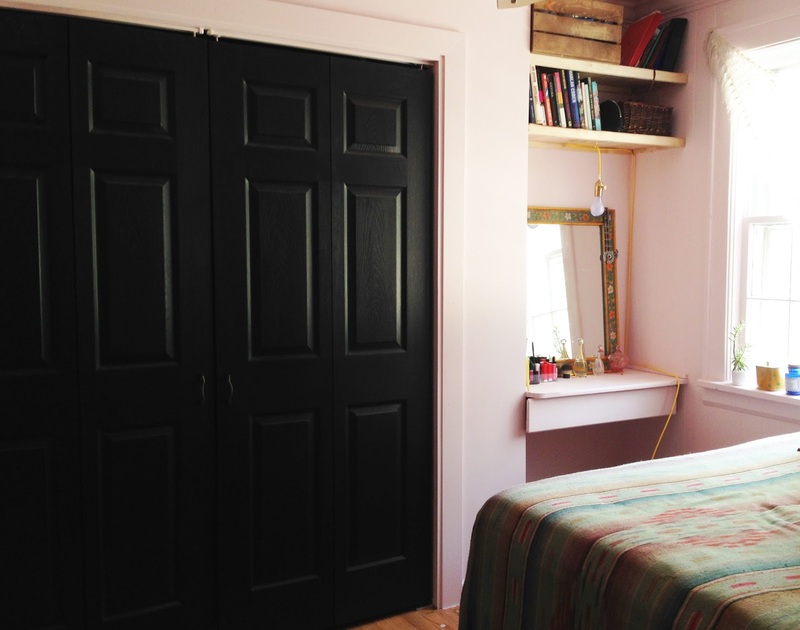 I actually wanted to keep the wood frame of the closet, but when I painted the doors black, it just didn't look right. 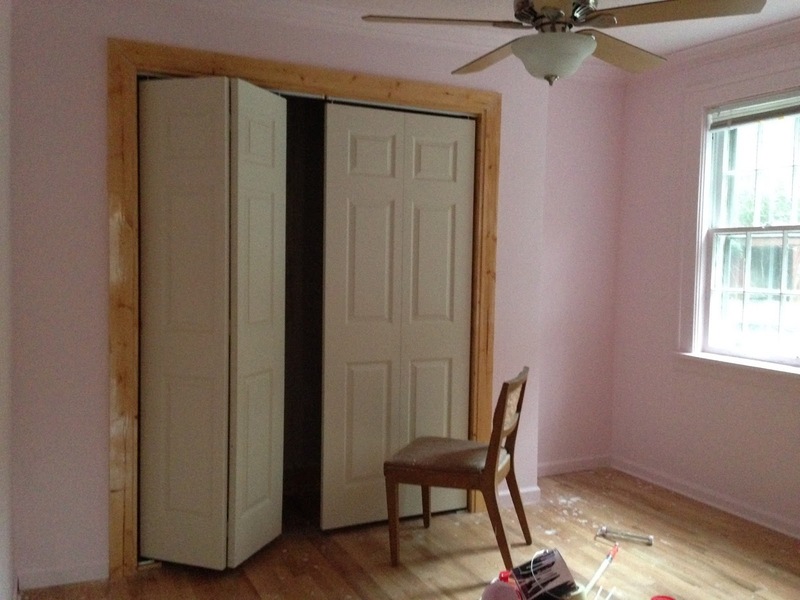 The wood looked too yellow, so I ended up just painting it pink, as I did with all the trim in the room and also with the ceiling. I basically live in a pink box. Richard built the desk and I added the drawer and then I also added the shelves because I really needed more accessible storage. Also, my window sill is big enough to use for things like plants and candles, and that makes me very happy! 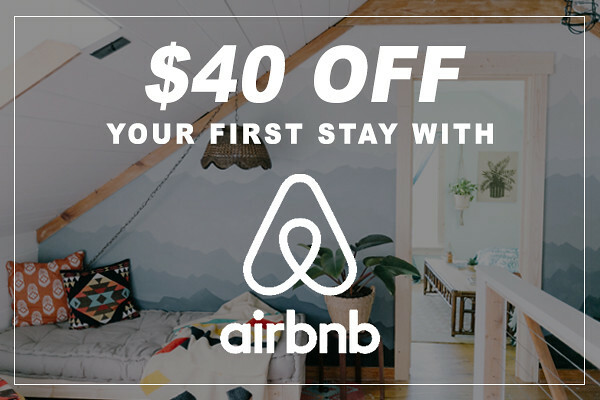 Thanks for keeping up with our posts about the house! For more, follow us on IG! All after photos by Amber Ulmer, unless noted!